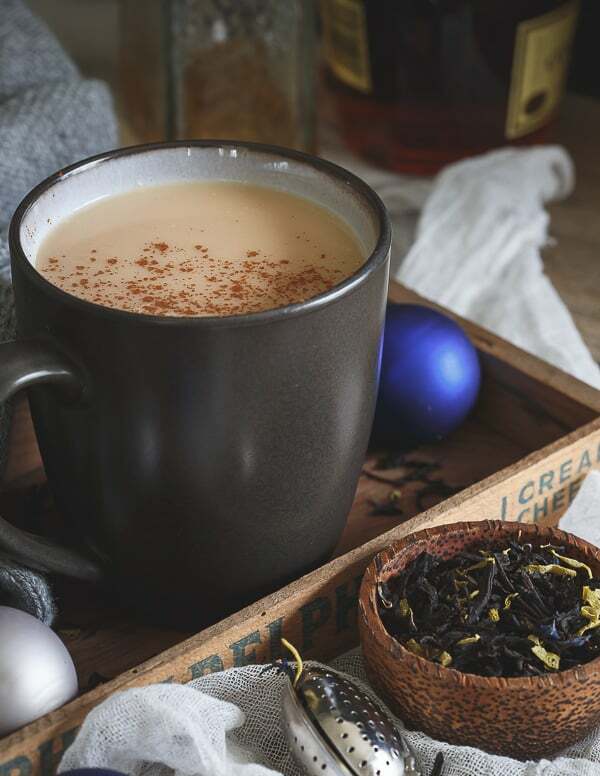 This coconut chai hot toddy is made with a generous splash of dark rum, spices and creamy coconut milk for the perfect cozy holiday drink. No but seriously, this December has been so weird. I will never complain about 50 and 60 degree temps a week or so out from Christmas though. It makes coming home from a week long trip to Florida slightly more bearable (even though there are no more palm trees on my daily walks). That said, my body wants it to be cold and every night since pretty much early November I’ve had the wintery “warm mugs of anything” craving kick in. Sometimes this is simply hot tea. 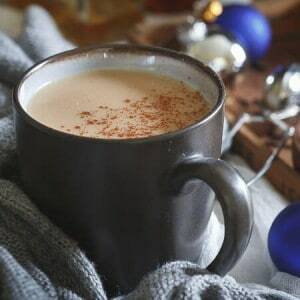 Other nights, it’s warmed up almond milk, almond extract, wintery spices and some stevia (<—killer), and then other nights it’s a coconut chai hot toddy. Let’s pretend that I do the non-alcoholic version on weekday nights and the real thing only on weekends like a responsible adult would. 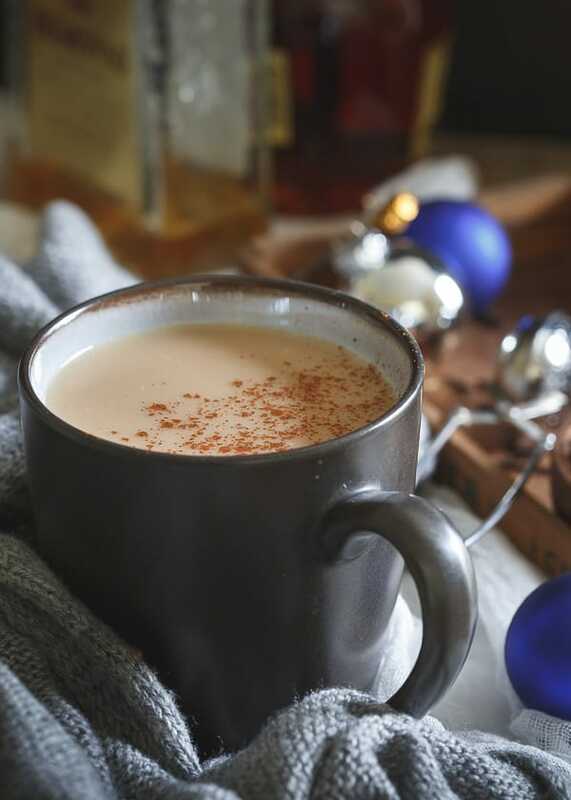 I’m teaming up with the ladies again to not only bring you this coconut chai hot toddy but 4 other amazing healthy cocktail recipes for this winter season. I can’t get over how bright and colorful some of these are! 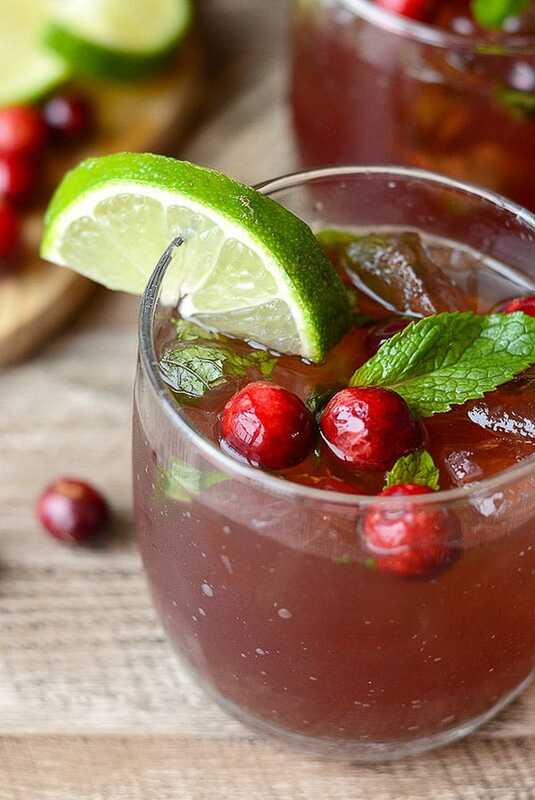 Get festive this winter and make these delicious and refreshing Cranberry Mojitos! They’re made with all the classic mint mojito flavors with a splash of cranberry juice. This Cranberry Orange Margarita is a festive spin on your classic Margarita, perfect for your next party. 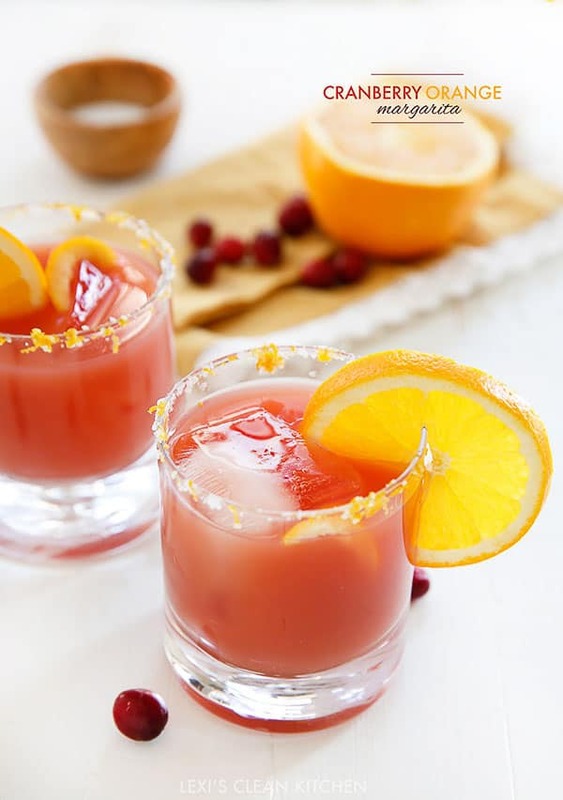 Fresh squeezed orange juice, tequila, a touch of real cranberry juice, and a dash of sweetness and orange zest make this margarita the perfect holiday cocktail! 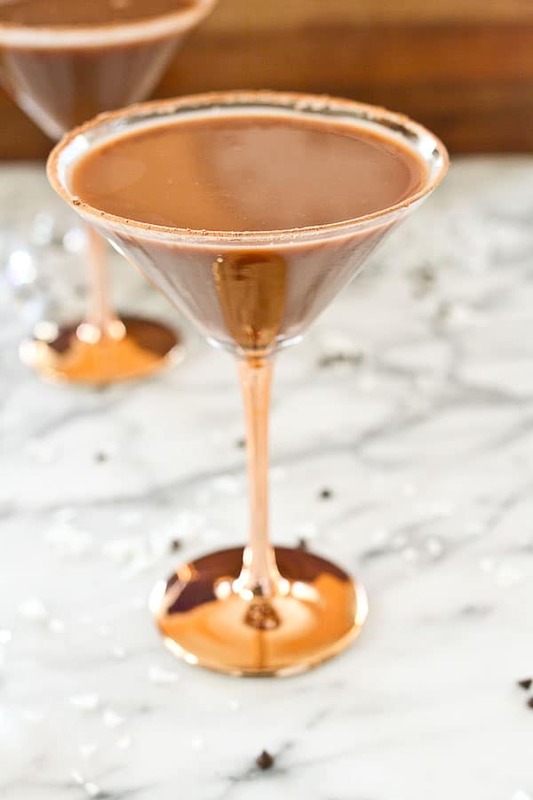 This Almond Joy Martini is a rich and nutty cocktail featuring chocolate coconut water, vodka and a splash of amaretto. It’s perfect for holiday parties and a tad healthier since it’s made with coconut water. 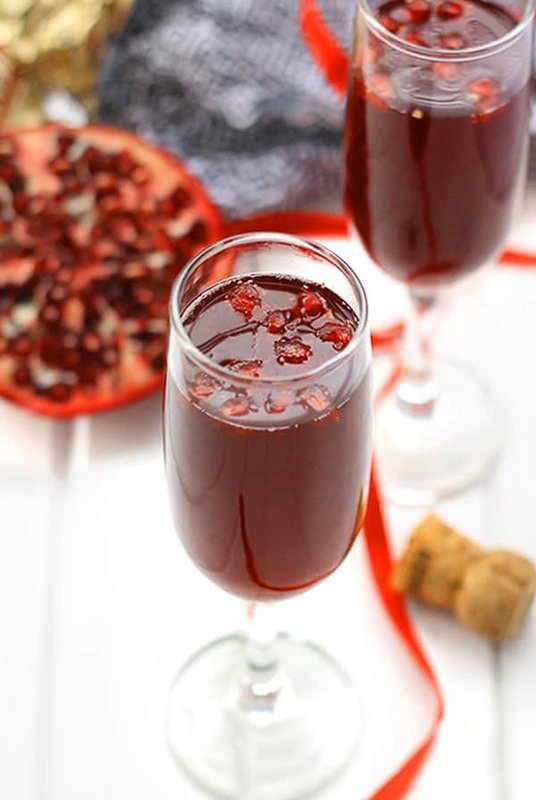 This Pomegranate Champagne Martini makes the perfect celebratory cocktail for your next party. It’s sweetened with a touch of honey and pomegranate juice for a healthier drink recipe. So whether you’re craving a fruity winter concoction or a cozy creamy one, I think we’ve got your boozing needs covered for the season with all these. For real though on the booze, feel free to leave out the dark rum and still have the perfect cozy nighttime drink. 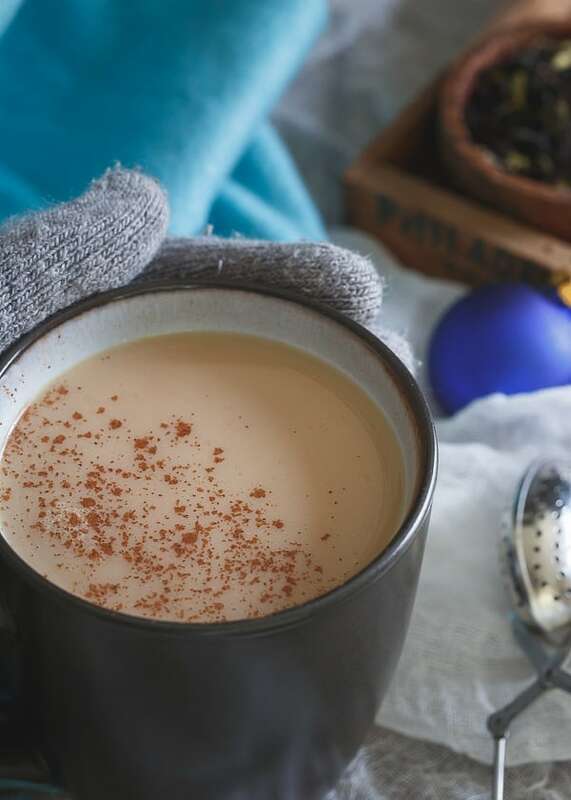 It’s creamy, spicy and warms your whole body with every sip. That said, 2 ounces of rum miiiight just make for a better night’s sleep though too. Want some other wintery drink options? How about this apple cinnamon tea latte, pumpkin hazelnut hot chocolate, or a gingerbread white russian? Combine the coconut milk, water and coconut sugar in a small sauce pot and bring to simmer. Turn off heat and place tea bag in the pot. Let steep for 5-7 minutes. Add rum to the sauce pot, stir to combine then pour into a mug. Garnish with cinnamon or other spices. Your sweatpants for life motto reminds me of.. myself, haha. Rocking some right now! It’s unusually FREEZING in Phoenix right now. Guess it’s a nice change of pace ;) I love all these cocktails, and especially your hot drink! Great flavors combined. Just what I need!